The world of technology is developing quicker than we are. Professors and engineers design and invent gizmos, gadgets and appliances which are ahead of their time, and possibly ours. This means there is no longer any shame in admitting you are not aware of a certain product or device. Electronic manufacturers release new models and versions of products almost every 6 months. Our TV screens becomeg bigger than our walls, our kitchens are dominated by can-opening robots and you can’t spend five minutes with a group of friends or family before someone brandishes a mobile phone and in a flash (literally) you’re Facebook’s next tagged atrocity. So let’s take a minute to get comfortable with what has become one of life’s most essential, useful and fun technological advances – the digital camera. So, what is a digital camera? 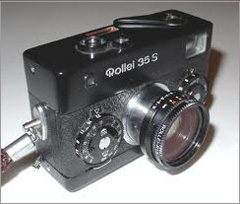 Try thinking of it as your traditional cameras big brother. Your old film camera had a ball with mixing chemicals and flamboyantly conjuring up its artistic delights via many evening sessions spent in dark rooms. You’ve been left with some great photos and memories, some of which will take pride of place on your living room wall and some that will have been resigned to dust covered photo albums awaiting their annual Christmas release. That’s all great. But here’s where digital cameras come in – they do all of the above, without the chemical extravagance, time delay or need to reserve photo album cupboard space! Great huh?! Now if you’re still with us, let us tell you how they differ technically. Quite simply a digital camera stores an image in digital form rather than putting it directly on film. In the last twenty years the process of converting analogue information into digital one has also been applied to televisions, CD players, DVD players and MP3 players. The digital camera really stands out because it relies on digital processes rather than the chemical and mechanical functions of its little brother to record images. There are still major similarities between the conventional and digital camera, with both using a variable diaphragm to focus and a shutter to allow the right amount of light into the images. The power of digital cameras lies in the fact that they can provide images on an built-in screen instantly after the photo was taken, they can store thousands of photos on one memory card and some, if not most, of digital cameras can now even capture sound and video imagery. Here’s an easy, if slightly patronising, explanation as to key components and processes of using a digital camera. As previously mentioned, with a conventional camera you would take a photo, which is stored onto film and then you’d pop down to your local superstore or retreat to your dark room where you would have to prepare the film prior to exposure. When the photo was ready you could then display or store it in a photo album. Now in 2011, that trip to the superstore with your film is replaced with an effortless trip to your PC and printer with a memory card. Put your memory card in a computer and all images will appear there, you’ll have the ability to edit or print them. The memory card which stores all of your photos is essentially a very very small photo album but with lots of space, consider it photographical Narnia. You can then transfer all of the photos to your PC or keep them stored on the memory card. Digital cameras are already integrated with our mobile phones, PDA’s, tablet computers and astrological devices. So which digital camera is the best? That’s a tricky question. Some argue that consumers have been tricked into thinking that the more megapixels a digital camera has, the better the quality will be. However some photographers argue that image quality is being sacrificed as part of the megapixel war between brands. 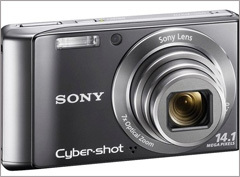 Either way, you can now pick up a cheap digital camera from most high street stores. As geotagging and photo editing becomes more popular it’s likely to see digital cameras incorporated into more and more devices. The development of image editing software on computers has made digital cameras more accessible to a wide range of users across all age groups and this looks likely to continue. Think of it like this, the Internet has given everyone a platform to share their thoughts; the digital camera has given everyone the ability to share their world.